From Kota Kinabalu (KK) is a 45 minute connecting flight directly to the small coastal town of Tawau. Tawau has some beautiful hotels. One of them is the 5-star Marco Polo Hotel. Tawau offers an interesting night market just outside the hotel, and some good seafood food stall diving down along the waterfront. From Tawau you can continue your trip by car or bus to Semporna. Here's the jetty for Sipadan. A benefit of overnight at the Dragon Inn in Semporna is the opportunity to walk through Semporna's floating market the next morning, before setting sail to Sipadan. Semporna's rustic market offers great photo opportunities and a face to face look at the simple life of in a small Asian coastal town, complete with the ubiquitous "sea gypsies". Sipadan is one of the world's top dive site and one of the easiest to access. For environmental purposes, all the resorts of Sipadan moved to nearby Mabul island such as the luxury Mabul Water Bungalows . 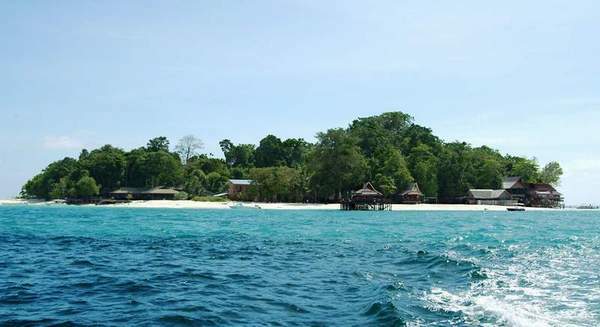 Pulau Sipadan is a totally new experience for many visitors. Not only are there fascinating coral structures but marine caves. 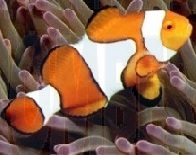 Pulau Sipadan is reported to have the largest variety of soft corals in the world. 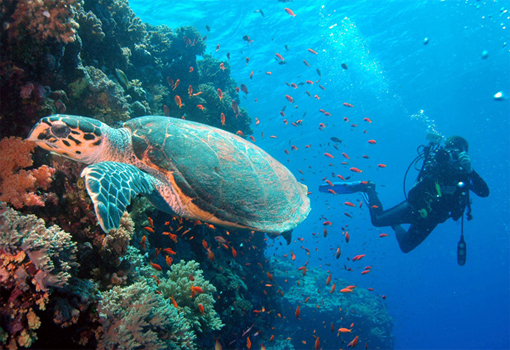 Turtles swim and frolic freely in the waters around Sipadan and divers will find lobster, barracudas, beautiful coral fishes and sometimes even sharks swimming by. Located off the north east coast of Borneo, this oceanic peak rises 600 meters from the sea bed and provides some of the finest diving in the world. The beautiful reef and spectacular coral wall drop-offs of this tiny island jewel play host to one of the most diverse ecosystems in the world. The waters are sobclear that visibility is over a hundred feet. Coral formations teeming with fishes can be clearly seen. 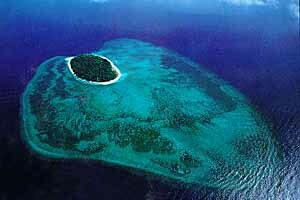 Pulau Sipadan has excellent sandy beaches with a densely wooded central core. It is the perfect venue for hours of sunning and swimming. 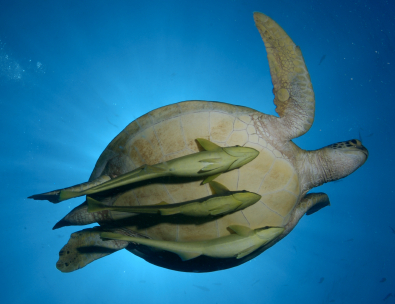 Sea turtles can be seen not only on every dive but also in night time when these turtles come ashore to lay their eggs. The island of Sipadan is tiny - you can walk around if in just twenty minutes - and is home to five different dive resorts, plus two more on neighbouring Mabul Island. Sipadan is one of the world's top dive site and one of the easiest to access.